It’s not looking good for the Hong Kong property market. With sales almost at a standstill, home owners struggling with negative equity and a buy-to-let market stacked in favour of estate agents, it’s easy to see why Hong Kong investors are looking overseas for property purchases. Experts at investment bank CLSA predict a 17% fall in Hong Kong property prices this year . This is due to the predicted increase in interest rates in the United States, and the doubling of Hong Kong stamp duty on second properties in 2012. There is also a huge increase in supply of housing stock, with nearly as many new homes being completed this quarter as in the whole of last year – a phenomenon which is also driving down house prices. As you’d expect, the drop in Hong Kong house prices has created an increase in negative equity cases, with fourteen times more cases this quarter than last . With house prices on the decrease, this is a situation that’s only going to get worse for Hong Kong home owners. Repossessions are also a more frequent occurrence, hitting even luxury apartments and their corporate owners. Even with low house prices, it’s not a good time to buy property in Hong Kong. Prices are continuing to fall, so what may seem like fantastic value for money now may land you with negative equity in the future. Meanwhile, in London, the housing market continues to thrive, with growth of 10% in the last financial year . 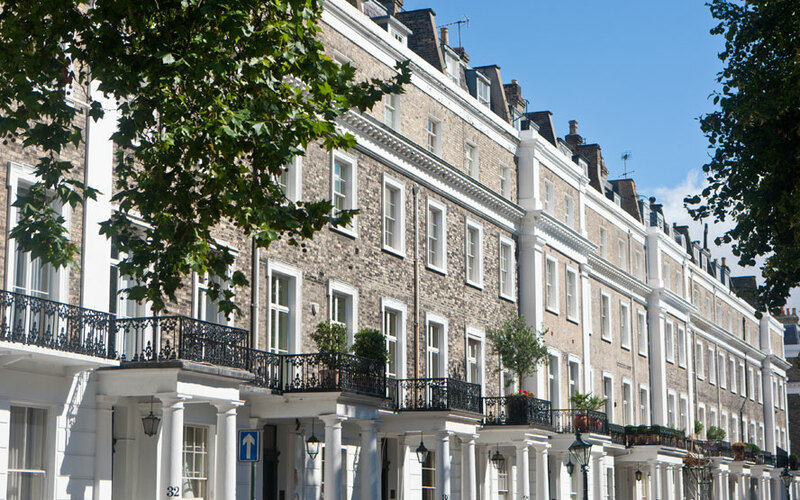 As people continue to flock to the capital, there is always a demand for homes and the number standing empty continues to dwindle, even in the more affluent areas of the capital. In addition, London’s planners continue to work on this “world city,” introducing new housing and transport schemes to benefit the capital. Crossrail is the new underground train link designed to improve journeys for commuters. Tunnels are currently under construction and the service will be available from 2018. Crossrail is having a massive effect on house prices, with areas previously thought to be undesirable because of poor transport links now achieving a new appeal. Looking at the capital in more general terms, it’s clear to see that Crossrail will help London continue to operate as an important economic centre where people will want to live.